Ambient pioneer, studio master, and omnipresent dance remixer William Orbit began his musical career in the new wave band Torch Song. Even while the group recorded several albums for IRS, Orbit remained in the studio to learn the ropes and began producing and remixing for artists including Sting, Madonna, Prince, the Human League, Erasure, and Belinda Carlisle. Orbit concurrently recorded his own material, and released his first solo album, Orbit, in 1987. That same year, he inaugurated the ambient project Strange Cargo, which released follow-up albums in 1990 and 1993. Also during the late '80s, Orbit latched onto the acid house explosion in England and founded one of the scene's most notable labels, Guerilla Records. Orbit's own Bassomatic recorded for Guerilla alongside British progressive acts Spooky and React 2 Rhythm plus excellent Chicago producers Felix da Housecat and DJ Pierre. 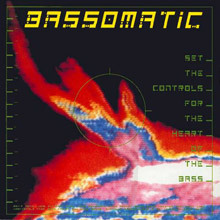 Through Virgin, Bassomatic also released an album, Set the Controls for the Heart of the Bass. Though his release schedule slowed slightly during the '90s, William Orbit continued producing and remixing at a furious pace. He also founded a new label, N-Gram Recordings, and prepared to release the classical crossover work Pieces in a Modern Style. The album, which featured electronic interpretations of classical pieces, drew angry protests from composers Arvo Pärt and Henryk Górecki, and they helped block the album's release. In 1998, after 15 years of behind the scenes post-production, Orbit's name hit the mainstream thanks to his helming the Madonna comeback album Ray of Light (Orbit not only produced the entire LP, but co-wrote many of the tracks). The album won Grammy awards for Best Pop Album and Best Dance Recording, and its success led to a host of remixing and production work, including Blur's 1999 album, 13. In 2000, Orbit finally released Pieces in a Modern Style, and the album became an unexpected hit thanks to Ferry Corsten's trance remix of Samuel Barber's 'Adagio for Strings'. In 2006 he returned with Hello Waveforms on the Sanctuary label. Finley Quaye appeared on the album along with former Torch Song/Strange Cargo vocalist Laurie Mayer. My Oracle Lives Uptown followed in 2009 on the Kobalt label, and one year later he released Pieces in a Modern Style 2, another edition of classical material, including Orbit's version of 'Swan Lake'. 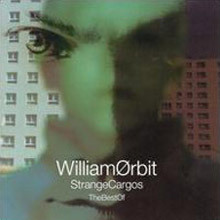 Recorded between 1984 and 1987, Orbit's first Strange Cargo release is a dynamic album of quirky mood music, with the producer exploiting the full range of his synthesizer presets and evoking a quintessentially '80s style of Fourth World digitalia. Though they're all well produced, most of these tracks are suited more for use as musical beds on the Discovery Channel, and "Via Caliente" and "Riding to Rio" may be too bright and happy for fans of his later work. Still, "Silent Signals," "The Secret Garden," and "Scorpions" are contemplative ambience in league with early Tangerine Dream. 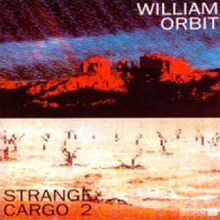 Strange Cargo 2 finds Orbit moving (slowly) away from the synth-horn solos and overall sound of new age/contemporary instrumental. Though there's a bit more electronics on this record, he still seems uncommonly fixated with textural touches like Spanish guitar, and the effect is much more Windham Hill than Warp. Still, the Indian fusion pieces "777" and "The Thief &amp; the Spirit" are highlights, with a series of masked vocal samples creating eerie moods. The last and best of the Strange Cargo albums, III matches elegant sequencer trance and understated organic instruments (piano, guitar) with ethnic-fusion and soft house rhythms. It's the only Strange Cargo record featuring vocals, with Beth Orton making an early appearance (more earth mother than neo-folky) on the beautiful ambient-trance single "Water From a Vine Leaf." "Into the Paradise" and "The Story of Light" are variations on the same form, while Orbit borrows from hip-hop and dub for "Time to Get Wize," with the toasting of Divine Bashim. While still tied to the '80s Fourth World aesthetic of its predecessors, on Strange Cargo III Orbit begins moving toward a more completely electronic form of music in keeping with the productions of his Guerilla label. The artist most often mentioned when discussing William Orbit's classical crossover albums is Wendy Carlos, whose synthesizer pieces of Bach piqued many a college student's interest during the early '70s. 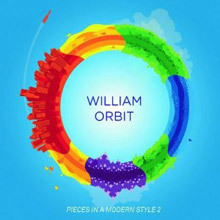 But on Pieces in a Modern Style 2, Orbit's second edition in a series that also includes 2000's original, he sounds like his closest inspiration is Tomita, the Japanese synth maestro who focused less on interpreting the classical canon than conveying the emotion and feel of these pieces, in a manner that struck classical fans as dumbing down the classics, but showed non-classical listeners a little bit of what's special about the form. Orbit's style here is close to Tomita's, with Casio synth of the late-'70s variety burbling arpeggios in the background while synth-strings play the basic melody of the piece. Orbit says in the notes that he's interested in classical music because of the way it's put together, but it's difficult to understand the meaning of such a simplistic statement. If he's talking about the basic elements of classical music -- complexity, harmonization, modulation, or musical form -- then these pieces don't measure up at all. What he's created is an introduction to the feel of classical music, but listeners, regardless of their enjoyment of classical music, should understand that the feel of the thing is far from the thing itself. 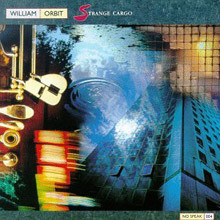 Compiling tracks from his three Strange Cargo albums (with recordings dating from 1984 to 1994), William Orbit displays a range of recording styles, drifting from the ambient-pop of "Water from a Vine Leaf" with Beth Orton to recordings more obsessed with trance and world rhythms. Arriving after the twin explosions of acid house and Madchester in the U.K., Set the Controls was inspired much more by the former. Orbit's career defines peripatetic, but much like Norman "Fatboy Slim" Cook, whose Beats International project also made a big British splash at the same time, here he made his own mark before achieving an even greater fame later, for other reasons. The strongest stretch of the album consists of the opening three tracks. "In the Realm of the Senses" combines Musgrave's fine dance diva chops and Orbit's ear for crisp modern Euro disco and techno both. If anything, the track is also a homage to the glorious "Supernature" by Cerrone, with vocodered vocal bits and an astronaut feel like a more poppy Orb. The title track, an amusing and commanding revamp of Pink Floyd's own sci-fi zone-out "Set the Controls for the Heart of the Sun," plays up the space imagery and sounds -- right down to the concluding Star Trek dialogue snippet -- while hitting the beat with a crisp, clinical sharpness. The chorus of female voices chanting adds to the effect. "Fascinating Rhythm" takes everything even higher; a deserved U.K. Top-Ten hit single, its shuffling hip-hop beat was more in line with baggy groups like the Happy Mondays. Otherwise, Musgrave's sleek main vocals, MC Inna One Step's solid dancehall turn in the break, and Orbit's perfect combination of music, production, and beat were all their own. Things get a bit nondescript after that point, but there are some good points -- the harmonica and electro-vocal fusion on "Zombie Mantra" and the sampling of some melodramatic English movie on "Wicked Love" both add to their respective songs. Concluding remixes of "In the Realm of the Senses" and "Fascinating Rhythm" end Set the Controls on a reasonable high.